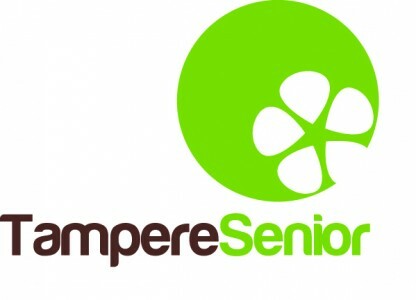 The ‘Tampere Senior – Ageing society as an opportunity’ programme seeks an operational model for a good life and ageing in the City of Tampere and the Tampere Region, working together with senior citizens and partners. Tampere Senior is a strategic project for the City of Tampere for the 2012–2020 period. The Tampere Senior programme brings together all parties with a vested interest in ageing, society and municipal residents as active agents. In addition to senior citizens, the programme network involves representatives from universities and other educational institutions, companies, associations and other organisations. Change the talk about old people to positive, encouraging, involving and appreciating. Strengthen co-operation and development of the central actors. Accumulate information on the possibilities and challenges of the ageing society. Bring together the different development and research initiatives and spread the best practices. The Tampere Senior programme coordinates the structural change of the services for senior citizens. The Tampere Senior programme aims to enable elderly people to feel safe and have the opportunity to live in their own homes all through life. The Future Group is the steering group of the Tampere Senior programme. The Future Group is led by the Deputy Mayor for Senior Citizens’ Services. Involvement of senior citizens in the city for example by residential meetings, workshops and postal inquiries is the key to success.